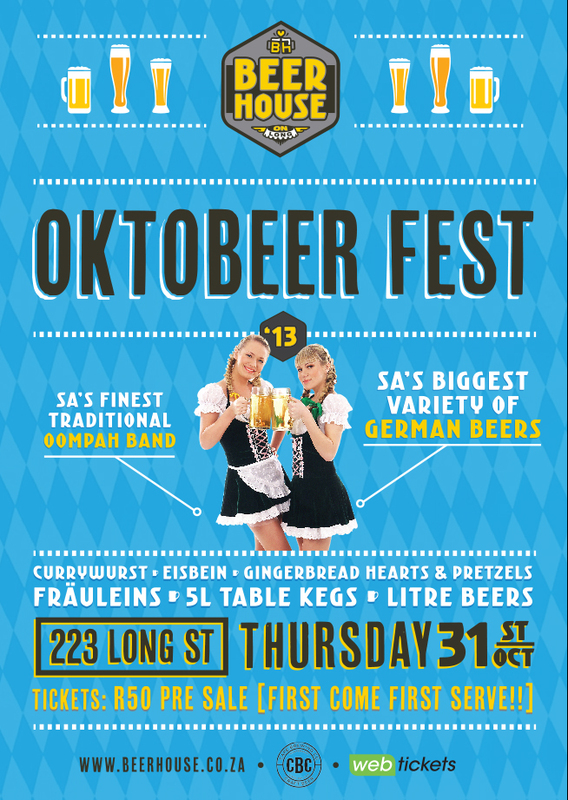 Beerhouse is proud to present its first annual OktoBEERfest on Thursday the 31st of October. In honour of our beer hall heritage we will be putting on a traditional Bavarian beer festival with a contemporary twist. South Africa’s premier Oompah band will setting the tone with upbeat traditional Bavarian music. Pretzels, gingerbread hearts, currywurst and eisbein will be whisked to your table by our lovely frauleins. Off course the star of the show will be beer. We will have imported German beers on tap, 3l table kegs, litre mugs, lagers, pilsners, weiss and South Africa’s finest craft beer.